I also like the protagonist very much. But it wasn’t really that big of a deal, so I forgot about it and got back to enjoying the novel quickly. Overall it’s pretty good and I recommend it very much. I'm the current translator, I'm bad at writing review so I'll just write what I want xD. Basically he's dead, got send to the Dimension of the Main God where he need to do some task (mission) in a duplicate world (anime world). If the task failed then he'll get penalty that leads his exchange point... more>> to decrease and if it's turn to 0 than he'll be erased (Of course he didn't care about it). He's weak but he got skill that can be considered OP but not too OP. i rate this 5 because this is prob the best in it's genre for now. MC is always cool headed, not a harem seeker but not refuse when it comes. MC in this novel is very different from another MC from this author, he's not too OP, but not weak and relying on another character either. and nothing's wrong with staying in peaceful world, did u think MC is somekind of psyco? it's not a good novel, in the meaning that it can't be read alone, you'll need to know the universes the author is talking aboult other wise you'll just be bored as hell and won't understand most of the plots. so not a good "NOVEL" maybe a good "STORY" but not a novel. Also as the one who is currently reading this too, this novel is basically a fanfic story. It is basically the same as the author's previous work (Holistic fantasy and Shoujo grand summoning). It's expected that MC will enter different anime worlds and creates harem with the anime girls. So far, he has been one of the best authors who write these fanfict genre story. In the 1st and 2nd volume, everything is very exciting as even he enters anime world, it is the world of survival fitness. I was expecting an infinite survival game like Infinity Arments and Infinity Terror style during his whole story. However, things started to get BS as he enters a very peaceful world and wastes even 2 year doing normal stuffs. The volume after that becomes typical harem style story with no intense battles. What makes thing worse is how the author rushes the amount of chapters. The chapters become very short with very little progress going on with little novelity. It is basically like watching the anime the 2nd time. The battle has become so boring that I lost all the excitement and expectation from the 1st and 2nd volume. The scale of difficulty of the anime worlds mentioned is also completely screwed up. How the hell can Hidan no Aria world be stronger than God Eater's world? Have read another Novel of the same author before which had some ups and downs and read some of the reviews for this one. So I was worried about the first few volumes which are about stories which original I havent watched, while it still needs a few background knowledge to understand most of it perfectly but even without it it can still be read and for one own enjoyment. EDIT: So I finished the Main Story and it was good but not perfect what I really didnt like were the stupid... more>> four in Konosuba but personally I also didnt like them in the original (even if they are funny) but the other chars were nice so I could continue reading it. All in all 4/5 Stars. Consider the better MC than Wu Yan from same author, the MC is never been stupid, although he also use the plot but author have learn to make him 'forget' the plot. He is the type that is super coolhead and have firm goal in mind. He didn't kill the villian because they're villian but because they've crossed his part. He is resolute on every of his action. Never expect him to fall into scheme easily, his IQ notably higher than Wu Yan, almost perfect MC. MC character growth is slow but significant with the present of his first lover. This is a very good LN, honestly its in my top 5. When I first start reading this I thought it was gonna be like Shoujo Grand Summoning in which I did also read and liked but, the harem he had was so much.... however this LN I dont remember but only till after like 1000+ chapters did finally start having a female with him. In those earlier chapters we get to watch him grow and get stronger as he go through these different worlds and even tho the MC... more>> has a hacks ability, he's not god and still fight to almost death most of the time. He's not a solo character if people offered to help he wont refuse them unless they're incompetent or they are not strong enough to be of any help. Overall, I recommend this LN to anyone who's looking for something to read, the character is very likable the worlds he goes to are fun and not boring you will enjoy it im sure. This is my first review even tho I've read tons of LN's already. (Novel Completed) Original Rating (5 Star) like I said in my previous comment that this was good Novel to read and it is. However, the last arc about 100-200 chapters towards the end they spend too much time on it and I didnt like it what they should have done is make him go a different world instead of the same one.... because ppl get tired of reading about the same anime all the time even if it's progressing. Lastly, the ending to me felt kinda rush sure they answered some questions kinda? but I felt they could have add another 50-100 chapters before I would say good, basically the ending will make you feel unsatisfied. Now ima rerate this to a (3 Star) because thats what I feel it deserve. The MC pretty much has a huge Harem towards the end, he went back to the worlds where the other girls were at that he couldn't take previously with him while he was traveling. Currently the best fanfic author with the most word count work. This is the best (imo) work from the author. Using the reason "forgeting the plot" most of the time. Ughh please stop! Weakening the MC for "some reasons". He did it on his previous work. Forced plot, which can be understandable since the main quest are being "forced" because there are benefits like points. There are some creativity, but most of the time it is just that Fang Li is just replacing the original MC just by doing it better. Favoritism on some LN. Some are overused from the previous fiction like ToAru (I love ToAru btw). But the worst of it all is the last/3rd arc of this fanfic. It kinda ruin the story imo, especially there is no Main Quest but he still acts like a bystander like I mentioned in #3. Some have vague powerlevels? Maybe some of you can feel it. Its hard for me to explain. Only Sylvie/Jeanne were used as a summon in other world. So it wasnt explored that much. Open ending. Maybe it can be a good thing, but it was ended by Classroom of Elite. It's hard for me to understand some of mtl, but he kinda reincarnate or something? He went to that world with no waifus or powers whatsoever. And he just repeat #3. The author ended this fanfic there, but I was hoping he showcase being 2nd rank and his waifus. Favorite arcs with no order: Asterisk (his main class/1st waifu), KonoSuba (very funny arc), ToAru except the last arc (funny and likeable characters from Tokiwadai ojou-sama). Recommended for those who like fanfics. I want to rate it high, compare to authors other works this novel is much more well thought and written better even more so on how this work started out but as the story progess story became more tiring to read. 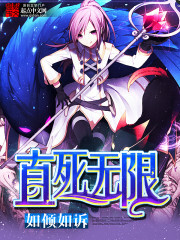 With the setting of main world and its anime dungeons as new element to this jumbled up fanfic makes the novel a little bit original than what it really is (An X-over FANFIC) which is the truly entertaining factor of authors works but somehow in this novel author is yet... more>> to really explore his original world instead he put much effort in inserting his MC to different animes and although it was written good which is apparent at the beginning things start to tire me out more so with the ongoing arc. Which is Grand Summoning is much better but only in that regards.